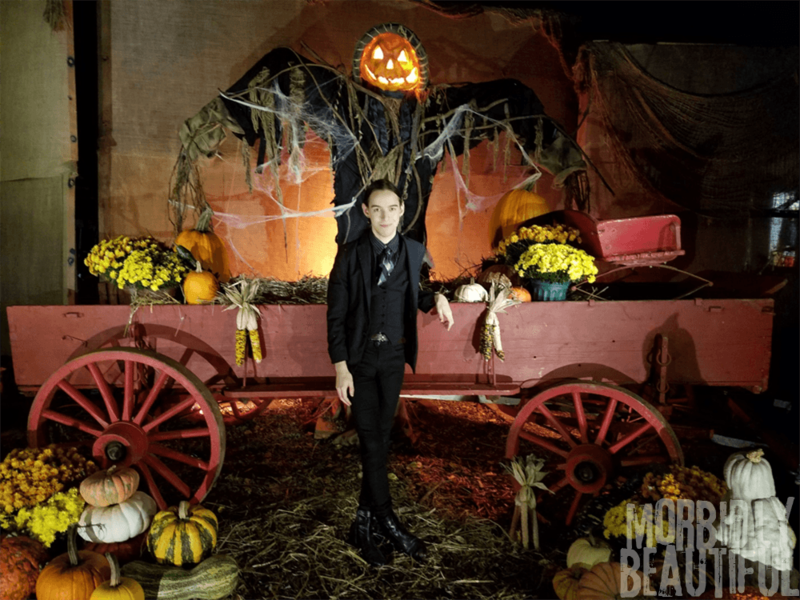 Every year, a week or two before Halloween, my family and I visit the “spooktacular” Powers Farm Market in Pittsford, NY to pick out pumpkins, pet cute animals, explore jack o’ lanterns and skeleton infested corn stalk teepees, and — most of all — to brave the famous, award winning, family friendly haunted hay ride. Usually we go just as a family, but THIS time we get to bring you along for the fun! Join me for a virtual trip in pics through Powers Farm Market. 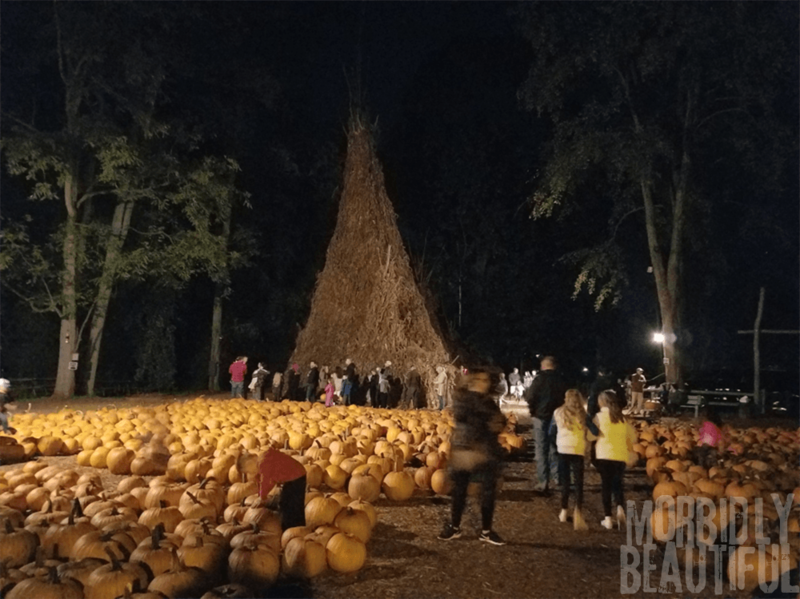 Pumpkins, Corn Stalk Teepees, and Animals! We started by picking out pumpkins. There were A LOT of good ones. 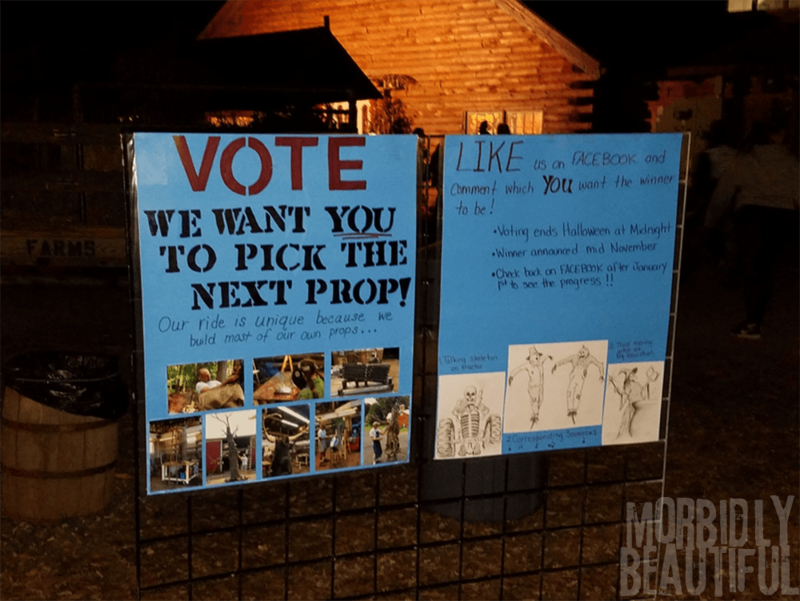 It was hard to narrow our selections, but we eventually found a few we really liked. The corn stalk teepees beckoned as we searched. 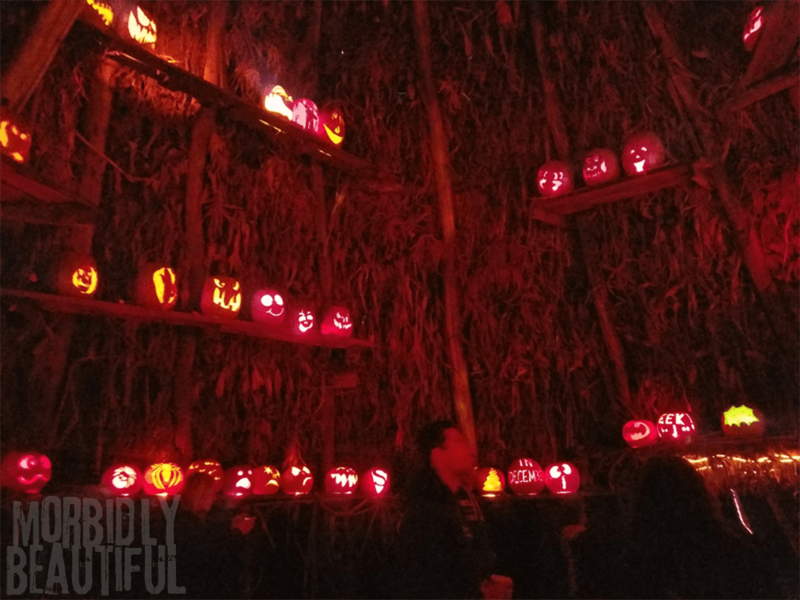 Next we visited the corn stalk teepees, where we were greeted with so many amazing carved, lit jack o’lanterns. As hard as it was, I managed to settle on a few of my favorites from the killer collection. 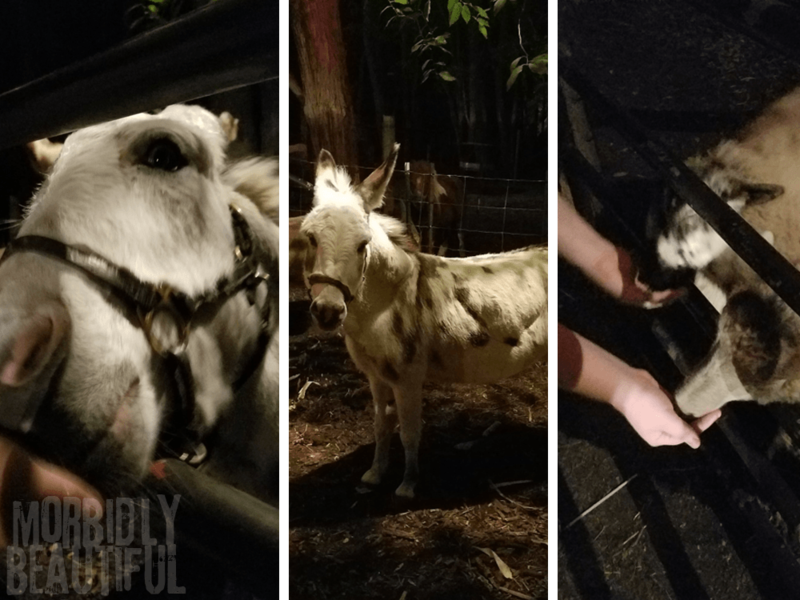 We then visited some CUTE animals! Some of the animals liked to be in front of the camera and posed. Other were too busy eating…and being sleepy…to care. 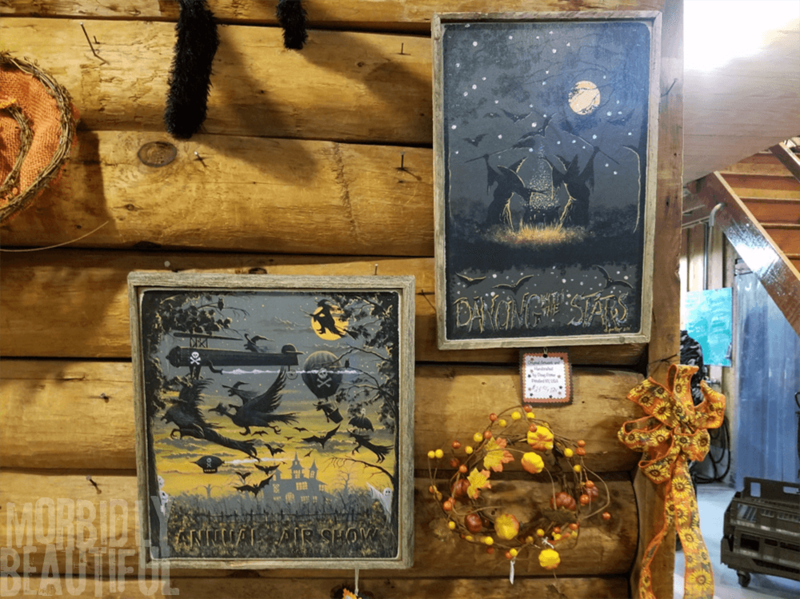 Buying Pumpkins, Exploring the Farm Market and Finding Witches! 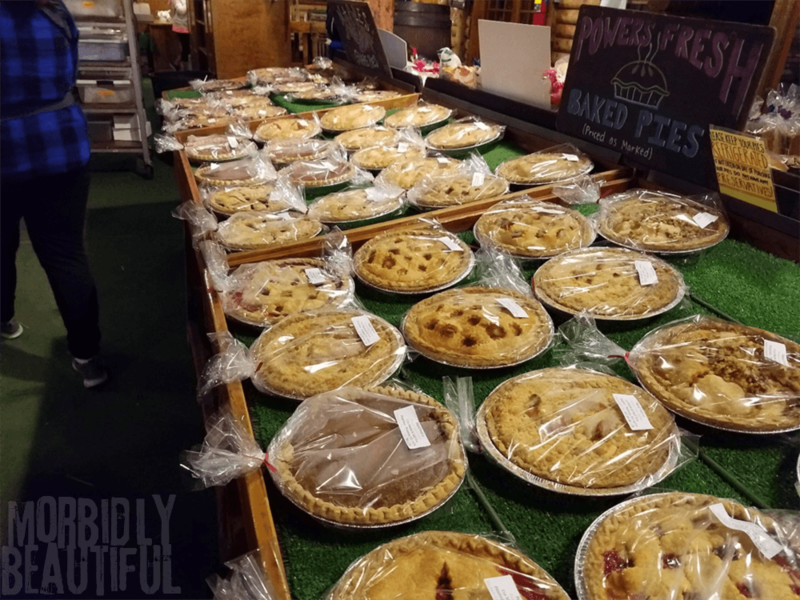 As we went to pay for our pumpkins, we took the opportunity to check out the farm market, where we ogled the beautiful selection of fresh fruits and vegetables alongside devilishly tempting sweets. 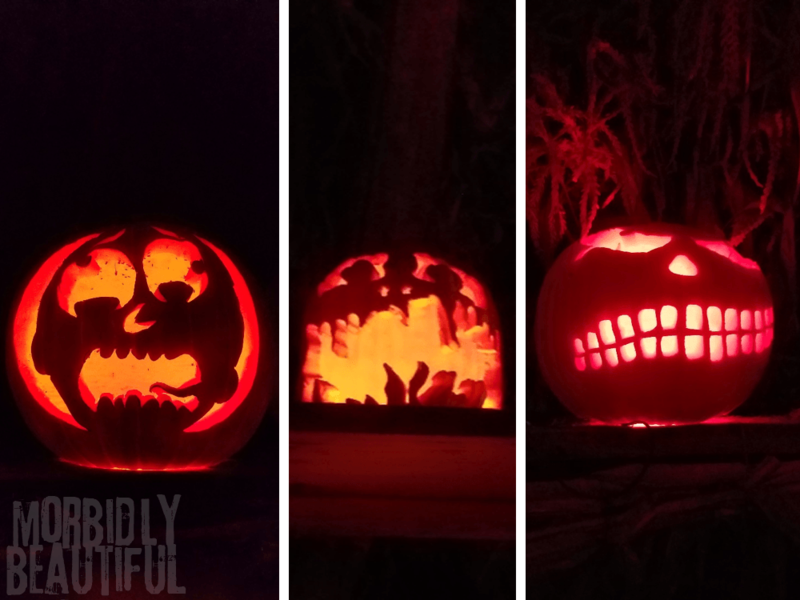 We grabbed some pumpkin carving supplies while we there and admired all the spectacularly spooky decor. But what really caught our eye was all those wonderfully wicked witches on display. My favorite were these two pieces of witch art. After finishing our shopping, I bought two chips for the main attraction — the haunted hayride. When we first arrived at Powers, the line for the hayride was ridiculously LON. Although it had waned some, the line was still pretty long by the time we bought our tokens. 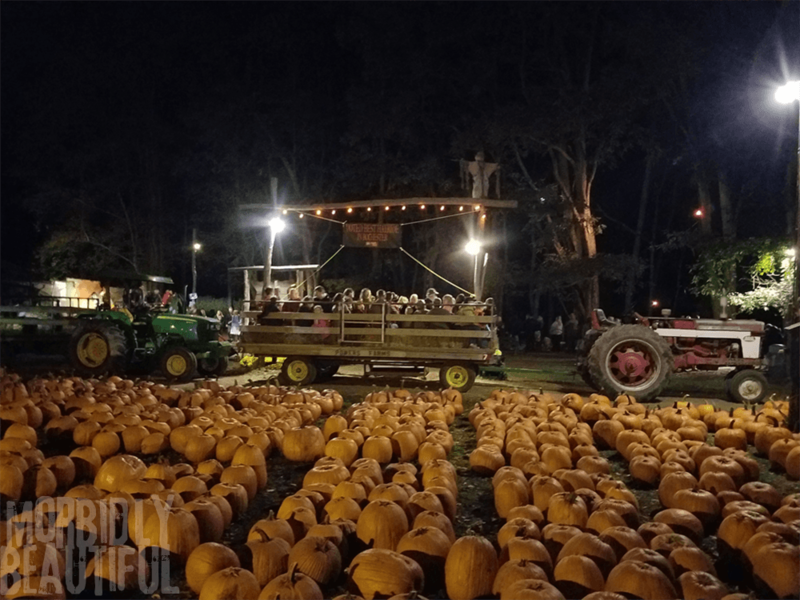 But there was no way we were leaving without experiencing the popular event voted Best Hayride in Rochester. 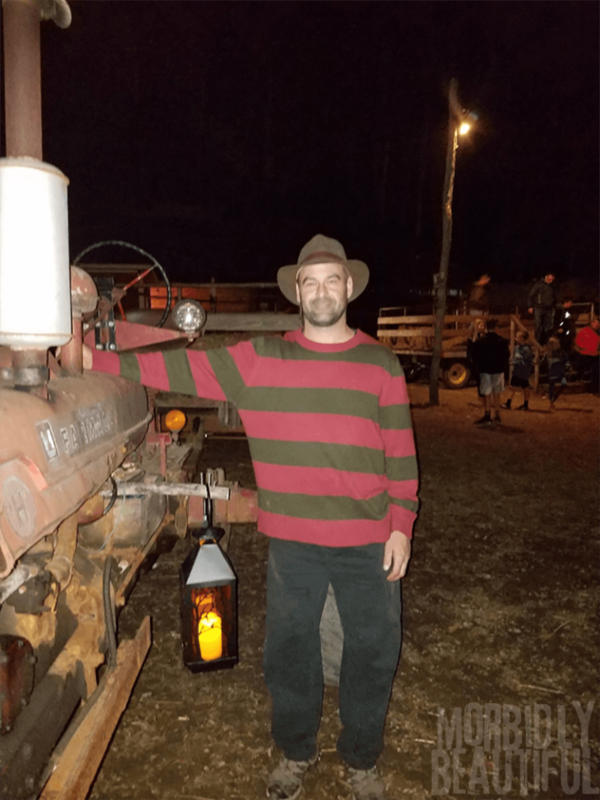 While waiting in line, we spotted one of the hayride drivers dressed like Freddy. He was a really cool guy and let me take a pic of him for this article! 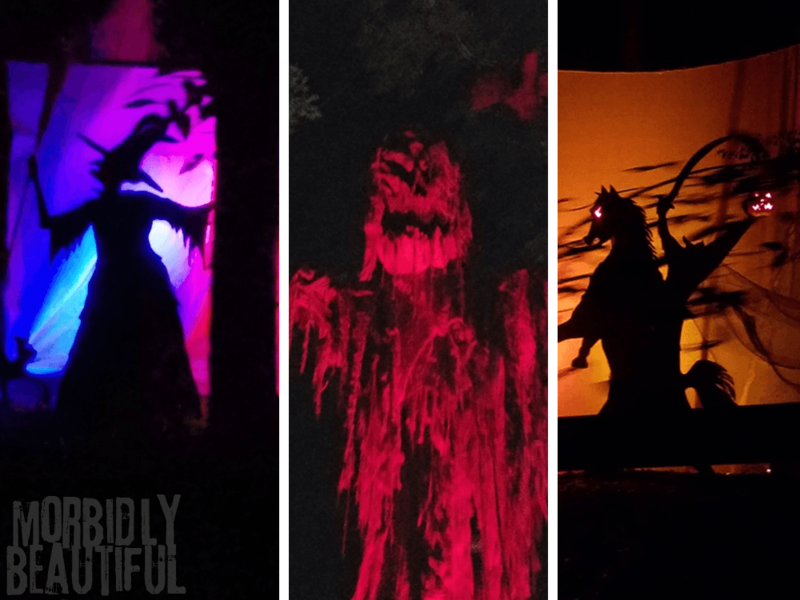 Finally, we got on the hayride and entered “Witch Hollow”, where we of course saw some witches, a possessed tree, and (my personal favorite) The Headless Horseman…among other many memorable sights. 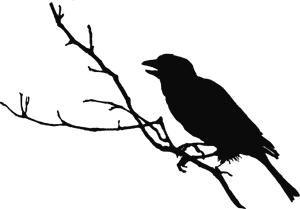 I truly hope you enjoyed taking this trip with us. 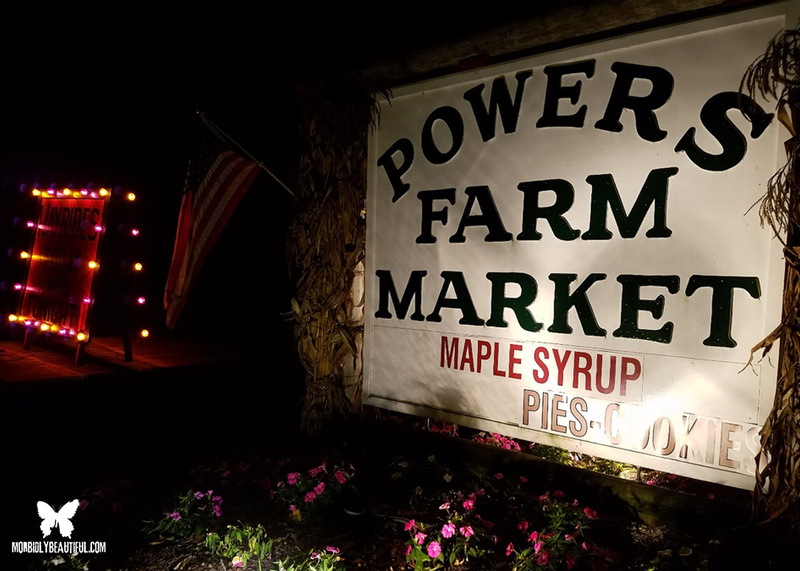 If you find yourself in my neck of the woods next Halloween, I strongly encourage you to include a stop to the Powers Farm Market as part of your frightfully festive celebrations. Glenn is a cartoonist, writer and collector (primarily of horror) living in Rochester, NY. When not writing, drawing, or collecting, Glenn can be found roaming among the stones of various cemeteries, or reading one of his 3,000 books.